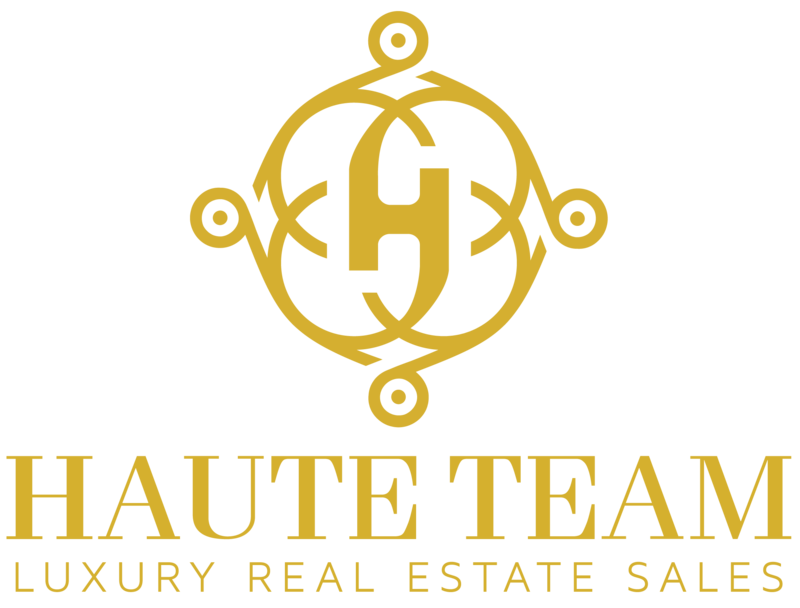 Are you considering living in a luxury property that feels like you are living in five star resort? Perhaps you are in search of a condominium that provides world-class comforts, conveniences and atmosphere. It may be time to consider buying a condo on Williams Island. 2800 Williams Island condos for sale offer an extravagant lifestyle with all the luxuries and amenities of a five star resort. These well-appointed, spacious condominiums range in size from 1,575 square feet to an incredible 9,000 square feet. Panoramic views abound in every direction, allowing residents spectacular images of the Atlantic Ocean, Intracoastal Waterway, the city of Aventura and beautiful Williams Island. This 32 floor tower has an abundance of amenities that Williams Island residents have become accustomed to. Condos at 2800 Williams Island for sale all include services like 24 hour valet service, poolside attendants, a concierge service and constant security to help ensure safety and privacy. Perfectly manicured grounds are steps from the South Lagoon Marina. Along with the resort style pool, there’s a spa, modern fitness center, business center, club room and more. The affluent residents of 2800 Williams Island have access to the seemingly limitless entertainment and recreational opportunities the island affords. The exclusive Williams Island Club is noted as one of the finest clubs in South Florida, boasting an amazing 27,000 square foot spa that just underwent a $5 million dollar renovation. The Island has its own tennis courts, 18-hole championship golf course, walking trail, dog park, and fine dining options like Club Prime. On what is known as Florida’s Riviera, Williams Island has not one, but two professionally staffed marinas. For those who seek entertainment elsewhere, Williams Island is located within 30 minutes of both Fort Lauderdale to the north and Miami to the south. Aventura itself has a nice choice of dining and shopping options and is home to the massive Aventura Mall and its wide selection of upscale stores. For comfort, convenience and value, consider our roster of 2800 Williams Island condos for sale. We invite you to learn more about this opportunity and connect with us for your personal tour. With only 159 luxury residences in this beautiful, 32 story tower, The condominiums at 2800 Williams Island have some of the most spacious living areas on the island. The coziest two bedroom units start at 1,575 square feet with six bedroom penthouse condominiums reaching 9,000 square feet. The design of the building offers residents dazzling and varied views. Watch luxury yachts as they cruise the Intracoastal. Enjoy a colorful sunrise over the ocean. Take in the city views of Aventura. Each condominium is appointed with floor to ceiling windows to take it all in. Perhaps you’ll prefer to step outside onto generous terrace space and enjoy ocean-cleansed breezes. Constructed in 1990, many of the units here have been renovated with the finest upgrades. You’ll find designer cabinetry and marble floors and counter tops in kitchens. Many bathrooms are spa-like with whirlpool baths, garden tubs and large showers. Or renovate your own to your hearts content. Condos at 2800 Williams Island for sale offer an exceptional level of comfort. Living at 2800 Williams Island is as close to resort-style living as one may enjoy. A professional and friendly staff is ready to serve virtually every need. Your are steps to the building’s private, heated pool with an attendant nearby to assist you with towels, a chaise lounge or to set up your umbrella. Step to into the spa or just enjoy the South Florida weather. The state-of-the-art fitness center offers modern equipment to help you get, or stay in shape. There is a community club room with a full kitchen for events and parties. A business center gives you the space to get things done. The location of this exquisite community gives residents direct access to the island’s South Lagoon Marina. Of course, like other communities on the island, you have services available like 24 hour valet parking and security, a concierge service all in a building that is impeccably maintained. Living at this community gives you the ability to enjoy the many other entertainment, recreational and dining options the island offers, centered around the Williams Island Club. This limited membership club has a spectacular 27,000 square foot European style spa. This five-star, $5 million spa pampers its members with therapeutic facial, massage and body care treatments that will have you looking and feeling terrific. The club has fine dining and social opportunities. Recreational opportunities on the Island include an impressive tennis club, with 16 total courts, lit for evening play. Take private or group lessons from USPTA teaching professionals or sign up for one of the club’s tournaments. The 18-hole championship golf course is dotted with acres of lakes and bunkers to challenge you. This beautiful course is one of the true gems of island living. Williams Island boast two professionally staffed marinas, with capabilities of docking 160 foot craft with a 7 foot draft. Chart you course out on the Atlantic or explore the sites of the Intracoastal and inland waterways. Take a walk with your dog to the waterfront dog park. This fenced in park allows your dog the opportunity to run free and socialize with others. For young families, there’s a children’s playground. For the whole family there’s a scenic walking/jogging trail. Williams Island hosts an array of social events and activities. There is even an Island shuttle service to facilitate moving about. For those in search of the perfect location in South Florida, 2800 Williams Island provides it. Here, you are in Aventura, a vibrant city in its own right. But you are also less than 30 minutes from Fort Lauderdale and Miami international airports. A short drive puts you within reach of South Beach, Downtown Miami and professional sports and major concerts. Relax on the beautiful beaches at Sunny Isles or shop at the world-class stores at Aventura Mall. Take in the impressive works at the annual Art Basel or take your chances at Gulfstream Park that has championship horse racing and Casino. From the nightlife of Miami to an ocean excursion, there’s always pleasurable diversions nearby when you live at 2800 Williams Island. You’ve heard about it and you’ve read about it. Now is the time to act upon it. 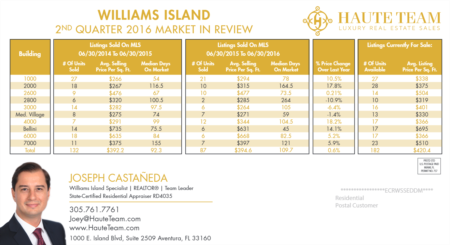 Review our current listings of condos at 2800 Williams Island for sale and contact us for your private Williams Island tour. We are Williams Island experts with inside knowledge of the island, amenities and lifestyle. We understand the value of these exceptional properties and can help you make the very most of your buying experience on Williams Island. Our professional multi-lingual team speaks seven languages to better serve you. Don’t wait. Come and see what Williams Island is all about.